New Delhi: The Income Tax Department seized ₹ 300 crore in black money, including cash and jewellery, during April-October, 2011-12, finance minister Pranab Mukherjee informed Parliament on Tuesday. The I-T Department has issued 2,190 warrants and seized assets worth ₹ 299.63 crore, finance minister Pranab Mukherjee said in the Rajya Sabha. During the 2010-11 fiscal, the I-T Department has seized assets worth ₹ 774.98 crore by executing 4,852 warrants, Mukherjee said. In a separate reply to the Rajya Sabha, minister of state for finance S S Palanimanickam said the I-T Department does not doubt the authenticity of information provided by the French government on Indians with bank accounts in Switzerland, but was verifying the data. “The question of any doubt on the authenticity of the list of bank account holders does not arise as it was received from the government of France. However, information so received is verified in accordance with provisions of the Income Tax Act and necessary action taken to bring to tax any undisclosed income...," Palanimanickam said. The minister of state said this in response to a question related to the information received from the French government on the Swiss bank accounts of Indians. India received information on these accounts from the French government under the Double Taxation Avoidance Convention between the two countries. He further said, “While handing over the information, the French government has not indicated its source." “I have to ascertain (details)," Mukherjee said, adding “some of them may be genuine account holders who have got the permission of RBI. They may be investors." The Indian investors have expanded their operations abroad and publishing names could harm their businesses, he said. “Shall I publish names, give names?.. We will get publicity," the finance minister said, adding “it will have an impact on industry." During his 45-minute reply, he took on the Opposition, particularly Advani, for speculating on the size of blackmoney which according to different estimates range from $500 billion to $1,900 billion. “I will bring White Paper. I will bring all information," he said, adding three economic think-tanks - NIPFP, NIFM and NCAER - have been mandated to make independent and dependable assessments of the quantum of blackmoney in the country. 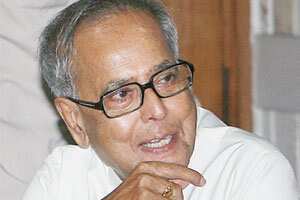 Mukherjee said there is no conflict of interest between the objective of the Opposition and the government. “Why can’t we work together. I will not protect any blackmoney holder, my party will not protect any blackmoney holder," he said. He slammed the Opposition for pressing for Adjournment Motion on the issue and disrupting Parliament for the same. “What urgency has it got? This issue has been there since 1948," he said, attacking the Opposition for linking the issue with the adjournment motion and not allowing the House to function. Earlier, the Opposition attacked the government alleging it was not doing enough to bring back the unaccounted funds stashed abroad, while several other countries had been able to do so. They also wanted the government to disclose the names of those account holders information regarding whom had been received.